What does DSEAR and ATEX stand for? DSEAR and ATEX are abbreviations for The Dangerous Substances and Explosive Atmospheres Regulations 2002 (DSEAR) and Explosive Atmospheres Directive 99/92/EC (ATEX 137) which are enforced by the HSE and Local Authorities, Fire Brigades and Petroleum Licensing Authorities. What is the significance of DSEAR and ATEX legislation? 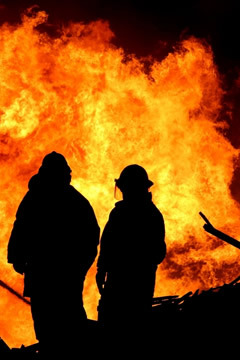 DSEAR and ATEX are a set of regulations designed to protect people from fires, explosive atmospheres and similar events arising from dangerous substances used in the workplace. A legal responsibility has been placed upon employers to provide their workers with protection in line with the details described by DSEAR / ATEX. Note that DSEAR is UK legislation, ATEX is EU legislation. Who does DSEAR / ATEX legislation effect? The DSEAR / ATEX regulations apply to most employers and the self-employed, where Dangerous Substances are handled. A Dangerous Substance is defined as a chemical or material that has the potential to cause fire, explosion or other energy releasing events. DSEAR / ATEX is most applicable to many industries including chemical manufacture, food processing, petrochemical industry offshore and onshore, handling manufacture and storage of bulk powders, petrol, flammable liquids and other dangerous substances. Industries that hold high risk rates in relation to danger from fire, explosive atmospheres and exothermic reactions etc will need to comply with these regulations. How can PM PROjEN help you comply with this DSEAR / ATEX legislation? To help employers and the self-employed assess their compliance needs, PM PROjEN has a specialised service and the required knowledge to provide clients with real benefits, which ultimately outlines the requirements of the DSEAR and ATEX regulations and the compliance details that relate to your companies needs. Definition of the Basis for Safety for Potentially Dangerous Processes, Risk assessments of workplaces are required under the management of Health and Safety Work Regulations 1999.
Who enforces the DSEAR / ATEX regulations? The Health and Safety Executive (HSE) enforce the regulations in Industrial Premises, with the regulations being enacted upon under the Health and Safety at work regulations 1974. Since June 2003 the HSE have issued numerous prohibition notices to industries requiring action to conform to the DSEAR regulations. Local Authorities, Fire Brigades and Petroleum Licensing Authorities are also closely involved in ensuring compliance.